It’s finally happened. For the first time since spring, it’s too chilly to sit on my front porch without a jacket. The gray clouds match the chilly breeze stirring the trees and my wind chime. As I sit here in my WKU hoodie (go Toppers!) I hear music all around me. The breeze has my wind chime singing along with the song in my head and the crickets and birds. I’m not ready for cold weather at all! Besides, it still looks like summer. Green grass, full trees, flowers blooming… I guess Fall is a time of transition. My magnolia trees are full of new buds, full blossoms and those past their time. 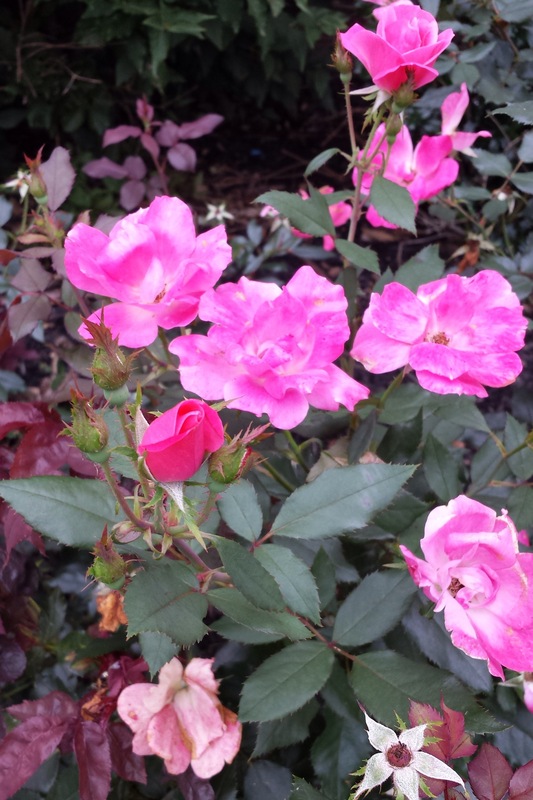 The same for my knockout roses. 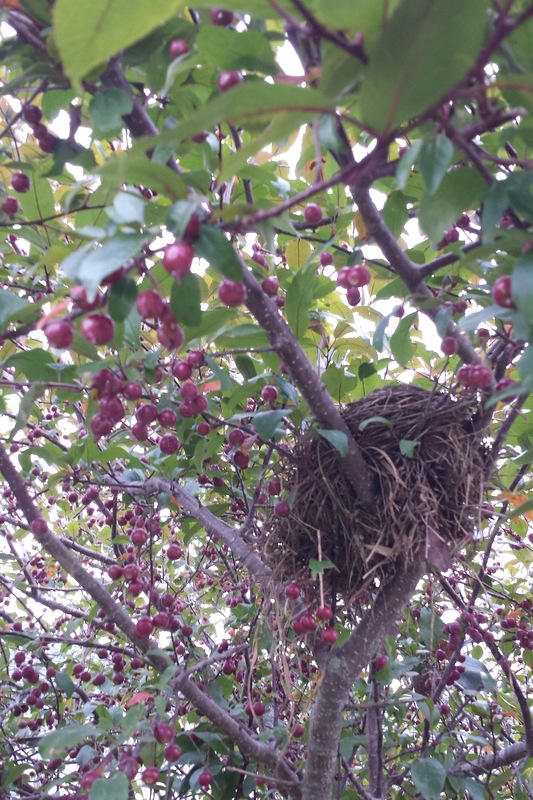 My crab apple trees are loaded, but the bird’s nest has been abandoned. I can see it in my own life as well. Transition time. Letting go of the dying blossom of my old “working woman” life and the person I needed to be for that season. Embracing the full bloom of the woman I am to myself, my husband, my children, my family, my friends, my church and my Lord. Excited about the new buds in my life and where they will take me… Painting, music, travel, study, and so much more. As I ponder the seasons and transitions, the lyrics in my head are from Help Me Find It by Sidewalk Prophets. Because, no matter the transitions in my life or the weather or the seasons, I want to follow God’s will for my life. Not my own will. His. And that may mean I have some cloudy days ahead… Maybe a chance of rain. But there will be sunny days, and new growth as well. My job, as I see it, is to focus on taking care of the woman I am and who God created me to be, to look ahead to the new buds growing in my life. To be a “good steward” of those gifts and not mess it up!! And, above all, thank Him for all he has provided… Past, present, and future. All the photos were captured this morning in my yard.